– from page 51 the Committee’s proposed response to the draft SPG. Given that the Mayor’s intervention powers under the 2008 Order (to direct refusal of an application or call it in for his own determination) are the most direct levers that he can pull in relation to specific development proposals, it is perhaps surprising that so far we have not seen them used as much as under the last days of the Johnson regime. Khan’s first intervention was in fact to direct refusal on 15 June 2016 of the Flamingo Park scheme in Bromley of a Green Belt scheme for a new stadium for Cray Wanderers FC along with 28 flats. (One for pub quizzes: Cray Wanderers claim to be the oldest football club in London – and second oldest in the world!). Unusually, the Secretary of State promptly intervened and called in the application before the refusal was issued. The Mayor was preparing to defend the refusal direction but the applicant Cray Wanderers announced yesterday (17 March 2017) that it has withdrawn the application following legal advice and discussions with the Mayor and Bromley Council. It will resubmit a new application “in the next four to six weeks”. It will be interesting to see the extent to which the new scheme sees any increased housing component and the approach taken to affordable housing. Khan’s next intervention also related to a proposed football stadium – this time Galliard Homes proposal for a new 20,000 seat football stadium for AFC Wimbledon and 602 residential units, on the Wimbledon Greyhound Stadium site, next to the site, now redeveloped for housing, of the old Wimbledon FC stadium in Plough Lane (Wimbledon FC now having of course having emigrated to Milton Keynes as MK Dons). (I hope you’re following this – I rather wish I had included Wimbledon and Cray Wanderers in my 7.1.17 blog post Level Playing Fields: Football Stadia & Planning). The proposals included 9.6% affordable housing (all intermediate, shared ownership) with a review mechanism. The application was called in by previous Mayor Boris Johnson on 26 March 2016 (against GLA officers’ advice), but in an unusual twist, Mayor Sadiq Khan released it back to Merton on 19 August 2016 for Merton to approve. I had previously doubted (and possibly still do) whether it is lawful for a Mayor to release back an application which has previously been called in – there is certainly no express power to do so – but the Mayor’s reports set out the legal justification that he relies on. There is one further Johnson hangover, the application for the mixed use redevelopment of Bishopsgate Goodsyard (including 1,356 residential units) which was called in by him on 23 September 2016 at the request of the applicant. Despite having been called in presumably with the intention of approving it, or at least reaching a determination more speedily than if it had been left with the London Borough of Hackney as local planning authority, the application then hit the buffers when a GLA officers’ report was published on 8 April 2016, recommending that he refuse it at the representation hearing arranged for 18 April 2016. The applicant decided to defer the hearing to address the issues and there it rests. The next twist is anyone’s guess. Will Khan even have to reach any decision or will we see withdrawal and resubmission? We now come to two much more recent decisions, both on 10 March 2017. The Mayor’s draft SPG was obviously referred to in both cases and affordable housing review mechanisms imposed in both cases, with a cap of 50% – which is the borough-wide requirement applicable in both cases (albeit Haringey’s emerging local plan appears to be proposing a lower 40% borough wide target). Haringey members had resolved, against officers’ recommendations, to refuse planning permission for this 505 residential unit scheme, within the Upper Lee Valley Opportunity Area and the Tottenham Housing Zone, on no fewer than eleven grounds. The Mayor called it in on 4 January 2017 and approved it on 10 March 2017 as recommended in his officers’ stage 3 report. “a minimum of 177 units (35% of overall units) to be affordable, with 20% affordable rent and 80% shared ownership by habitable room. It’s worth noting that there was already significant GLA funding being given for infrastructure for the scheme before the application was called in but the Mayor’s involvement appears to have secured £7.75m worth of affordable housing funding to a registered provider, so the review mechanism will be aimed at recovery and recycling of that grant funding. Harrow members resolved, again against their officers’ recommendations, to refuse an application by Origin Housing for a mixed use development within the Harrow and Wealdstone Opportunity Area and the Heart of Harrow Housing Zone to provide 187 residential units, within 5 buildings of between 1 and 17 storeys. Again, on 10 March 2017 the Mayor accepted the recommendations in his officers’ stage 3 report. – a viability review mechanism will secure the delivery of more affordable housing (up to a level of 50% of the scheme) should it be viable. The affordable housing is with grant based on the Mayor’s Affordable Housing Programme 2016-21, with an early review mechanism if enabling works are not substantially commenced within two years. – two applications called in and approved, but both schemes offering more than 35% affordable housing, with a review mechanism potentially to get to 50% – both schemes in opportunity areas and London housing zones where officers’ recommendations to approve had been overturned. Administrations usually become more interventionist over time. I headed this piece London Calling, but with Mayor Khan we certainly haven’t yet seen The Clash. Professional football throws up such planning dilemmas. Stadia developments, usually now accompanied by a panoply of other uses, are space-hungry beasts, with extreme peaks in terms of traffic movements and noise. Football clubs are powerful institutions, often not driven by rational economic considerations, able to generate letters of support for their proposals from around the globe and with inevitably strong local political connections. And each club is effectively a monopoly: if a club says it needs to move or expand, what is a council to do? Who is going to blow the whistle? 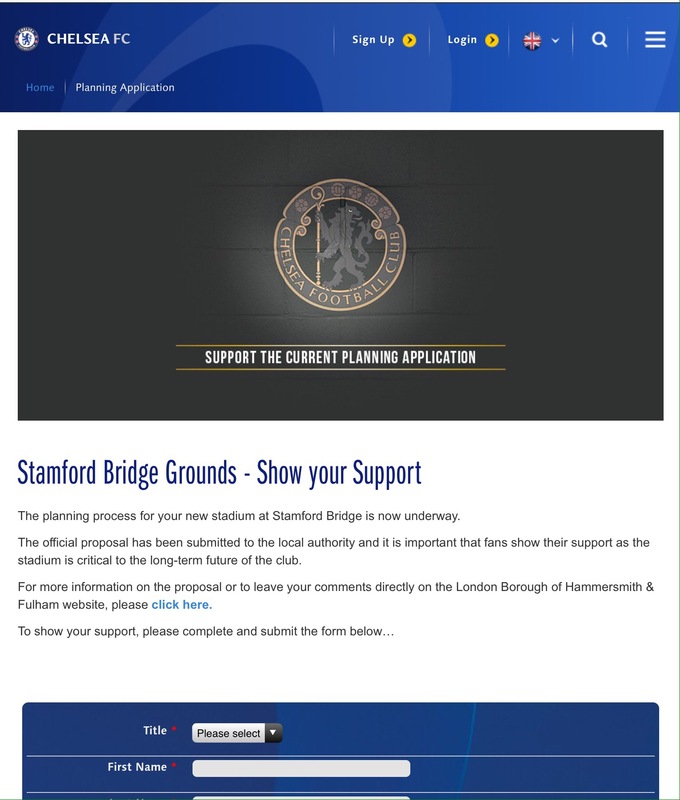 Chelsea FC’s proposed redevelopment of Stamford Bridge to create a new 60,000 seat stadium, with a direct link to Fulham Broadway tube station, is to be considered by the London Borough of Hammersmith and Fulham’s Planning and Development Control Committee on 11 January 2017 with a recommendation for approval. Whilst there are a variety of objections from local residents and groups as well as objections from the Royal Borough of Kensington and Chelsea and the Royal Parks, 12,000 people signed and sent in standard form postcards supporting the development, including 6,449 from outside London as well as 2,481 from outside the UK – how much weight should be given to this sort of managed process? Now here’s a curious situation. Luton Council’s submission version of its local plan, currently under examination, allocated a site just off junction 10 of the M1 for the relocation of league division 2 Luton Town FC from its Kenilworth Road Stadium. The site known as south of Stockwood Park, has been the club’s favoured relocation choice for many years. The club acquired it in 2015. There is a separate site in Luton town centre, known as the Power Court site, which is allocated for retail led development (although at submission stage the council made a modification to introduce the possibility of an element of use class D2 assembly and leisure). The club has now decided that it does not wish to build a 15,000 seat stadium on the south of Stockwood Park site and instead wishes to build a 17,500 (rising ultimately to to 22,500) seat stadium on the Power Court site. In August 2016 it made planning applications for a stadium and associated development at the Power Court site and for retail and mixed use development at its out of town south of Stockwood Park site. The applications have not yet been determined. Luton Council wrote to the local plan inspector on 22 November 2016 to indicate that, as it has “clear and unequivocal statements from the landowner to the effect that a stadium will not be developed” at the junction 10 site it had decided at a council meeting on 15 November 2016 to remove from the south of Stockwood Park allocation references to a 15,000 seater stadium and related facilities. The local plan inspector is holding hearing sessions on 10 and 11 January 2017 to pick his way through the position and has issued supplementary questions for the sessions in the light of the turn of events. 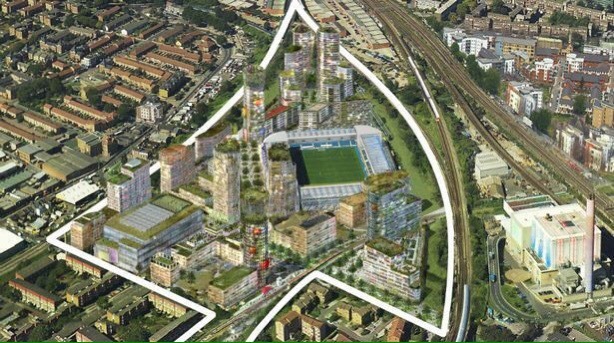 The land surrounding Millwall’s New Den is the subject of a planning permission for the New Bermondsey mixed use development project, being promoted by Renewal Limited, which owns most but not all of the site. Renewal has been working with Lewisham Council to bring the scheme, which includes 2,400 new homes, community sports facilities, health centre, premises for a local church, business space and studios and enhanced public realm, to fruition. 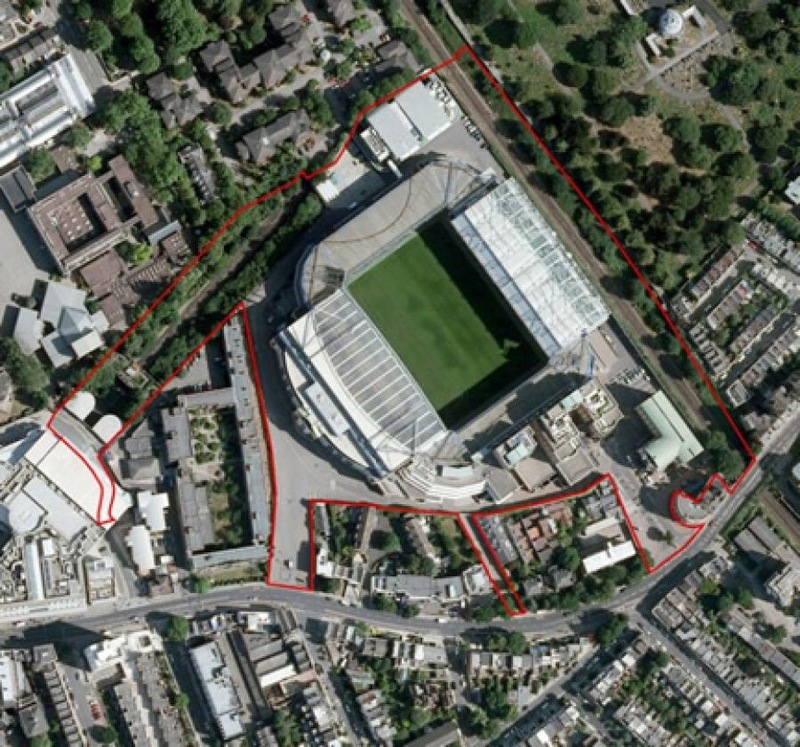 Renewal and Lewisham assert that the scheme will complement and support the club’s activities at the stadium. 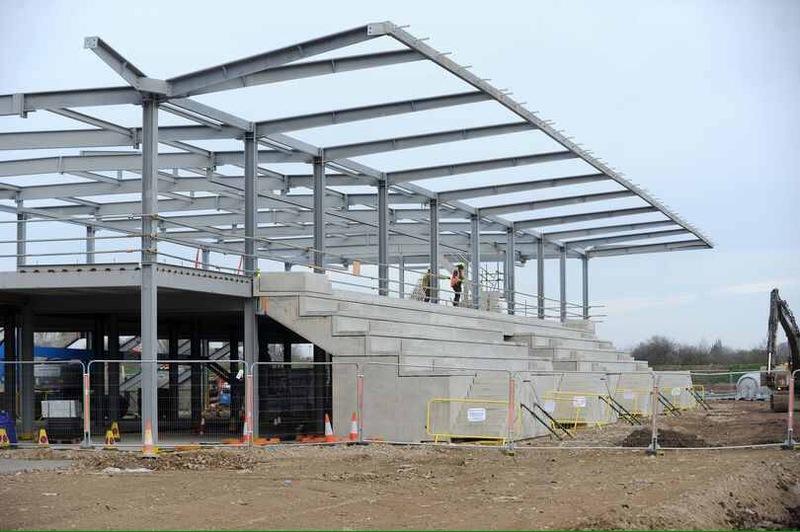 However, the club and its supporters oppose elements of the Renewal scheme, asserting that the proposals would jeopardise the status of its youth academy which would in turn jeopardise the future of the club at the New Den. The Council’s Mayor and Cabinet decided on 7 September 2016 that a CPO should be made but, following pressure (including the 27,000 signature Defend Our Den campaign), the decision was called in under the Council’s internal procedures and the Council’s cabinet is due to reconsider the decision at a meeting on 11 January 2017, albeit with, again, a recommendation that the Council should use its CPO powers. The issue has reached the national press, with a Guardian story on 5 January breathlessly headlined “Millwall admit council scheme could force club to leave Lewisham”. The Council has published its own Questions and Answers document. Three different stories, from three different leagues. But familiar themes. How can clubs’ reasonable needs and the aspirations of their fans be mediated as against other planning objectives? And who determines need?